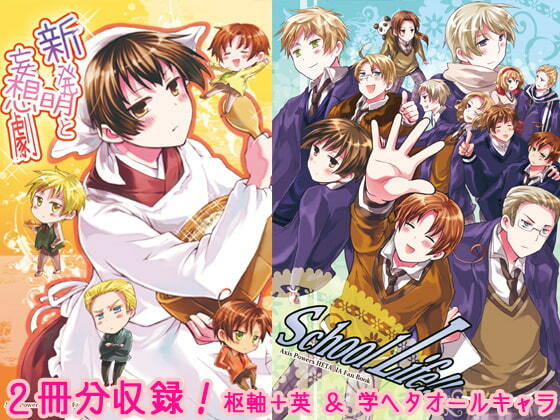 Het*lia comedy double set of mangas about the Axis & England as students. The Italia brothers, Germany and Japan, with England joining them in the second half. England goes a bit wild, be warned! Starring the Axis + England, with minor appearances by Northern Europe, Asia, etc.